This time I’ll be highlighting a lot of the pepper varieties that we have this year. 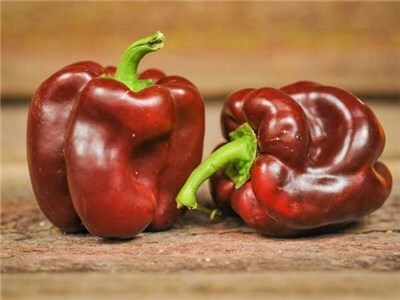 Sweet or hot, all peppers are perennials. So either grow them in pots or dig ’em up from the garden but either way bring ’em indoors before it gets below 50 at night. Well if you’re anything like me, the long wait for peppers until what, July, even AUGUST…is excruciating. Who in the world wants to wait that long for peppers? When you take advantage of peppers being perennials you don’t have to wait that long. Not only did my indoor peppers produce, in a south facing window on a radiator, until DECEMBER…but they started flowering in March. Got fruit by April. 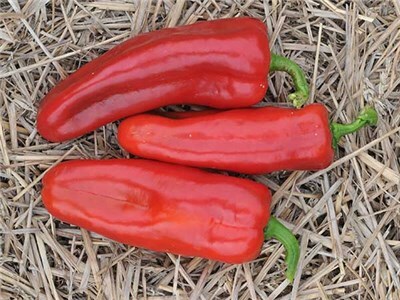 Perennial peppers means no more waiting all summer for the plants to mature. 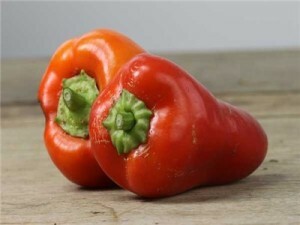 Perennial peppers means peppers anytime you want them, from April through December. 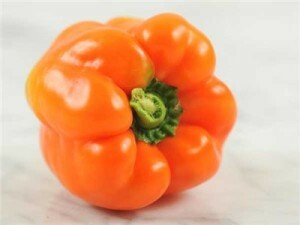 And considering the cost of organic peppers in the store?? That’s a blessing! I just treated mine like houseplants. They got a little ugly. See, they were used to a certain amount of sun, and warm, humid air. Sunshine and cool breezes. Once in my house they got cats sleeping in the pots, me forgetting to water them, kids pulling off the fruits too soon, dry air, minimal sunshine. By the end of winter they certainly looked sad. But the point here is that they survived. 8 pepper plants survived the winter in my house and now all they want to do is put out fruit…in May. Awwww yeah. So here are the varieties we’ve grown for you this year, and please remember, Peppers are Perennials. 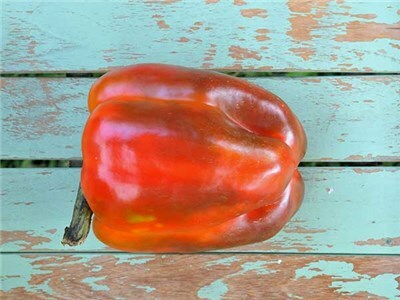 Dare I say we’d be happy to adopt any unwanted peppers at the end of summer…? That’s the only reason I bought this pepper. That and the red coming off in this photo is supreme. I haven’t tasted these yet, But I would bet they’ll be one of my favorites this year. 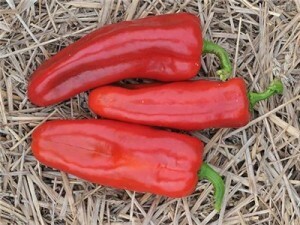 Marconi Red: Frying pepper. You know that whole, wait until August thing I talked about in my post earlier…this is the pepper that made me wait that long. They were delicious once they came in…but the wait…will not be happening again this year, that’s for sure! Horizon Bell: Prolific, sweet…these are the ones my kids want to eat raw with hummus. Ozark Bell: Green to Red these are edible the whole way through. An awesome multi-purpose pepper. We use these for stuffed peppers. Belgian: A small pepper, for those of you who want something sweet but maybe find yourself wasting a lot of peppers. These are also good grown in pots as the plants stay a pretty manageable size. 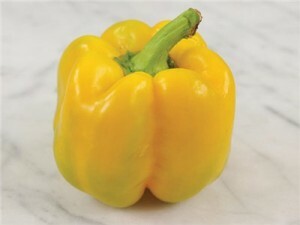 Canary Bell: These are the other peppers my kids always want to eat. These ones almost never make it into the house. Also edible in the green stage. 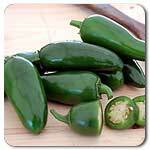 Early Jalapeno: A classic. Which, I’m glad it’s a classic and everyone likes them because I grew two plants and had enough jalapenos to bring 50 stuffed to a party, and supply me and two other households with an unending supply of them, and I still had some going bad on the counter. Also these are those “producing til December” kinds of peppers. 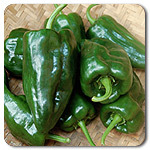 Ancho Poblano: Haven’t grown these yet, but I’m tired of buying chili powder. This will be the year I stop buying chili powder. 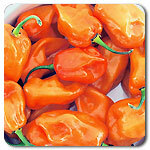 Magnum Habanero: Also a prolific little pepper. You wouldn’t think a pepper that hot would be so prolific, because for me…what’s the point of all that hot?? BUT– if hot’s your thing, for like, every meal ever, this is your pepper plant.